The semifinal match-ups are set at the 2018 Canadian Mixed Doubles Curling Championship and they feature something old and something new – “old”, as in the reigning 2017 champions and “new”, referring to the youngest team in the competition. 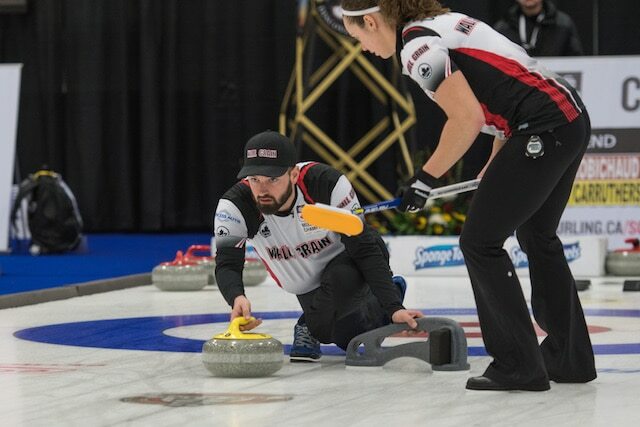 Joanne Courtney and Reid Carruthers, the 2017 Canadian champions and world silver medallists, have picked up where they left off last season, defeating Jocelyn Peterman (the 2016 Canadian mixed doubles champion with partner Brett Gallant) by a score of 8-4 to earn their spot in Sunday morning’s semifinals. 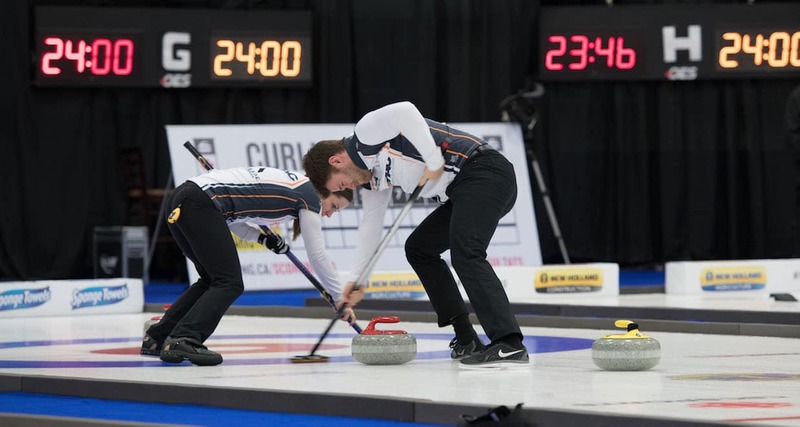 Courtney and Carruthers will now face Laura Crocker – the 2016 Canadian mixed doubles runner-up with partner Geoff Walker – and Kirk Muyres, who was called into service because Walker is currently in Las Vegas for the Men’s World Championship. 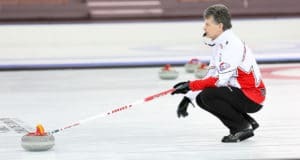 Crocker and Muyres stole four ends on the way to a 7-3 win over Jennifer Jones and Brent Laing in the quarter-finals on Saturday evening at the Leduc Recreation Centre. Although Crocker has been competing for a number of years, Muyres is a recent convert to the mixed doubles discipline. Also moving on are Chelsea Carey and Colin Hodgson, who stole four ends in their 8-5 win over Saskatchewan provincial mixed doubles champions Chaelynn Kitz and Brayden Stewart. Carey and Hodgson will play undefeated Kadriana Sahaidak and Colton Lott, who continued their winning streak after knocking off 2015 Canadian champions Kalynn Park and Charley Thomas, 9-6. 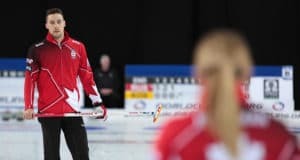 Lott, who has had his fair share of national and international competitive experience – he was the 2013 and 2016 Canadian junior men’s champion playing with Matt Dunstone, and he won a World silver medal in 2016 – came into the competition hoping to win a few games. “Our main goal was to qualify and have some fun,” he said after the quarter-final win over Park and Thomas. As for teammate Sahaidak, her expectations were very simple. It’s turned into a pretty exciting ride for the two young curlers, considering that they’re the only undefeated team in the competition. That ride will continue on Sunday, when they face off with Chelsea Carey and Colin Hodgson in the other semifinal. The semifinals get underway at 9 a.m. MDT (11 a.m. EDT). CBC will broadcast the Mixed Doubles final. 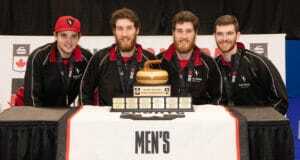 Go to http://www.cbc.ca/sports/olympics/winter/curling/broadcast then click on the “CBC Television” tab beside the “CBC Sports Streaming” for the CBC TV schedule.